Melbourne Symphony Orchestra today announced Chief Conductor Sir Andrew Davis would continue to lead the Orchestra until the end of 2019. In announcing the contract extension, MSO Chairman Harold Mitchell said: “Sir Andrew’s tenure has been a resounding success and he and the Orchestra have a very special connection. You can see this through the extraordinary performances. “It is a major coup for Melbourne to have one of the most important classical music figures of today gracing our Hamer Hall stage. I look forward to seeing Sir Andrew and the Orchestra create magical music moments together over the years to come,” said Mr Mitchell. 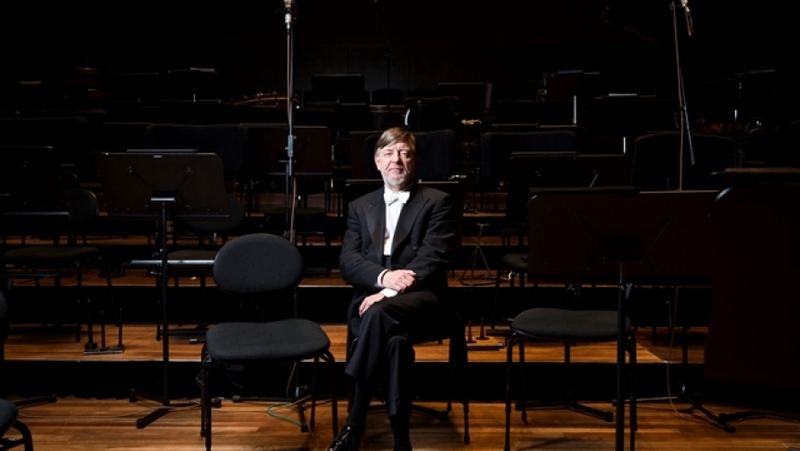 Sir Andrew Davis became Chief Conductor of the MSO in January 2013. He is also the Music Director and Principal Conductor of the Lyric Opera of Chicago, a position he has held since 2000 and will hold until 2021. Under the direction of Sir Andrew, the Orchestra toured Europe in 2014, performing to a sold out Albert Hall in London for the BBC Proms, at the Royal Concertgebouw in Amsterdam, and at the Edinburgh Festival. In Melbourne, Sir Andrew began a highly successful Mahler Cycle with the Orchestra and has given critically acclaimed performances of Berlioz’ Damnation of Faust and Britten’s War Requiem, among others. Sir Andrew said: “The Orchestra and I have a wonderful relationship, and I am delighted to be able to continue my partnership with these brilliant and dedicated musicians. I am also thrilled to know that I will be spending more time in one of my favourite cities in the world. “I would like to encourage all of Melbourne’s music lovers to come and experience our world-class orchestra next season. Whether you will be hearing us for the first time or are part of our army of faithful fans, the Orchestra and I can’t wait to share great music with you!” said Sir Andrew. Sir Andrew will return to Melbourne in August, conducting the Orchestra in a program featuring Strauss’ Ein Heldenleben and Rachmaninov’s Third Piano Concerto. Other upcoming events with Sir Andrew include a special performance with renowned soprano, Renée Fleming and a concert featuring pianist Jean-Efflam Bavouzet who will perform Mozart’s Piano Concerto No.17.